The top employing industries in the Eugene, Cascades & Coast region include government, educational and health services, retail trade, profession and business services, leisure and hospitality, manufacturing and the tech industry. 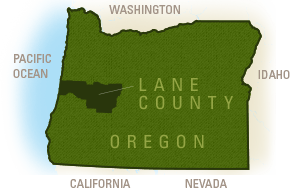 Some of the larger employers include Lane County, City of Eugene, the University of Oregon and Lane Community College. For state assistance or unemployment information, contact Oregon&apos;s Employment Department. If you are looking for work in Eugene-Springfield, the Cascades or on the Oregon Coast, it may be helpful to work with a professional staffing company. Other job resources include the "help wanted" sections of local newspapers like The Register-Guard, craigslist and potential employer websites.